Banks hoping for an overhaul of the prop-trading ban will be disappointed by the U.S. central bank’s modest revisions. Compliance costs may fall but Jerome Powell’s team doesn’t want Wall Street to go back to its freewheeling ways. It rightly retains distaste for big risk-taking. Former U.S. Federal Reserve Chairman Paul Volcker moderates a panel discussion at the Bretton Woods Committee annual meeting at World Bank headquarters in Washington May 21, 2014. 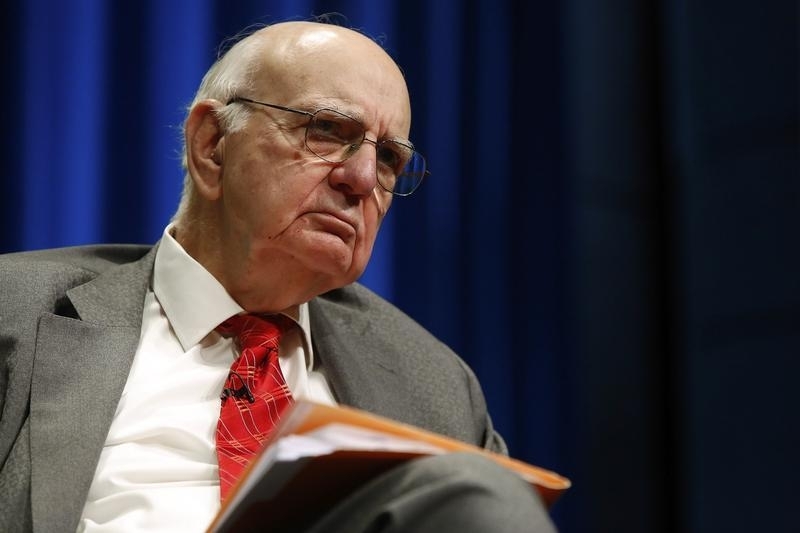 The U.S. Federal Reserve on May 30 was expected to approve a proposed measure to revise the Volcker Rule banning proprietary trading. The changes would eliminate the 60-day “rebuttable presumption” measure, under which investments held for less than 60 days are considered proprietary trading and, therefore, banned, though a bank can argue that certain transactions should be exempted if they are done for a client. The new rule would also revise the “short-term intent” aspect of bank trading accounts for which Volcker applies and instead base it on the accounting treatment of the position. The measure would create three levels of trading activities from “significant” to “limited” and tailors compliance and reporting requirements based on those assumptions. Banks with less than $10 billion in trading assets would see reduced hedging requirements, among other changes. The measure also would exclude certain foreign-exchange transactions from the Volcker Rule for a bank’s liquidity management purposes. Foreign banks engaging in proprietary trading outside of the United States would no longer have to show that no financing was provided by a branch or affiliate located in the United States to qualify for a trading exemption. Four other regulators that were involved in writing the Volcker Rule, which was finalized in 2013, are expected to propose similar changes. Those agencies are the Federal Deposit Insurance Corp, the Office of the Comptroller of the Currency, the Securities and Exchange Commission and the Commodity Futures Trading Commission.